Walter Day is the founder of Twin Galaxies. Twin Galaxies is a professional video game record keeper, and they have done work with the likes of the Guinness Book of World Records. If there is a professional gaming tournament, Walter and his team are usually the ones acting as the referee to make sure everything is on the up and up. 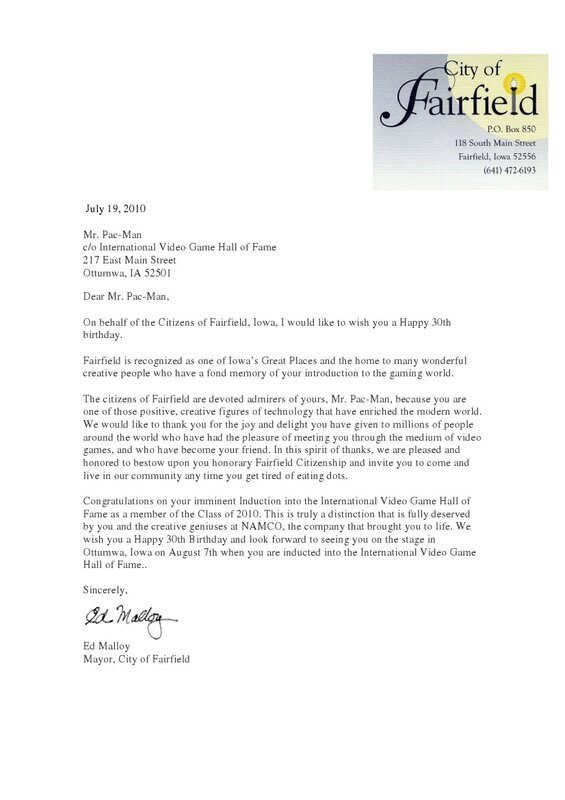 Walter sent us a copy of a letter written to Pac-Man by Ed Malloy, the Mayor of Fairfield, Iowa, in celebration of the yellow guy's 30th birthday! While it's not quite 3D related (though there have been volumetric 3D versions of Pac-Man released), we thought you would get a kick out of it! Anyone try Pac-Man in 3D?